Wednesday Michael Luke had the day off so I took advantage of the extra pair of hands and beautiful sunshine and started working on Esther’s birthday present. Up until Wednesday I was a little bit stressed because I wasn’t sure if I would have time to get it completed before her big day (I’m pretty sure it’s big to her because she reminds us of it every day) but now I feel much better. So what is it? We are giving her a play kitchen. Playing with the play kitchen at Mother’s Choice was one of her favorite activities. And I believe it! This girl makes food out of anything. Last night she was serving up plastic penguins as cookies! She loves cooking! So we thought a play kitchen would be perfect. Originally I wanted to get all DIY and convert an old entertainment center into a kitchen like I had seen on Pinterest. But after exhausting ourselves with Noah’s birthday present in November, only to be followed closely by Christmas, and then preparing for our trip to Hong Kong I had to face reality and realize that that option just wasn’t an option anymore. 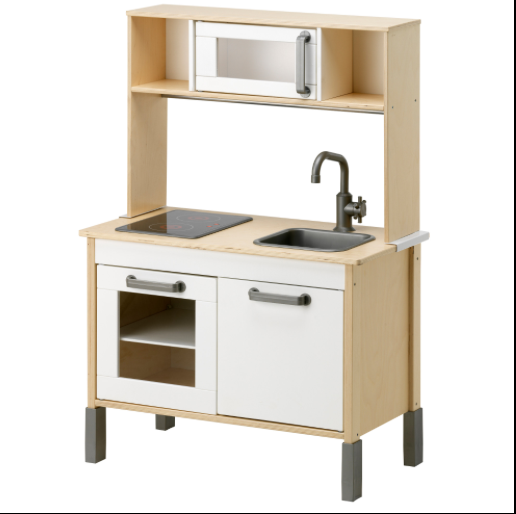 So I did a little looking and pricing and finally decided on the IKEA play kitchen. All together it’s $100… not too bad. The closest IKEA to us in Atlanta. We didn’t have a trip planned there anytime soon but a friend told me about this cool service offered here in Birmingham called the Wishing Truck. Basically it’s two girls who make a run to Atlanta every month to purchase and bring back items you are wanting from IKEA. For the kitchen and fee for them picking it up for me the total was around $130. Which if you are doing the math would be way cheaper than what it would cost me in gas to drive to ATL to pick it up myself because I would have to throw in a meal or two plus who knows what else I would find while I was there. It’s really a great deal. So I have had the kitchen since before we left for Hong Kong but didn’t get to start working on it before yesterday. Working on it? Yes, working on it. 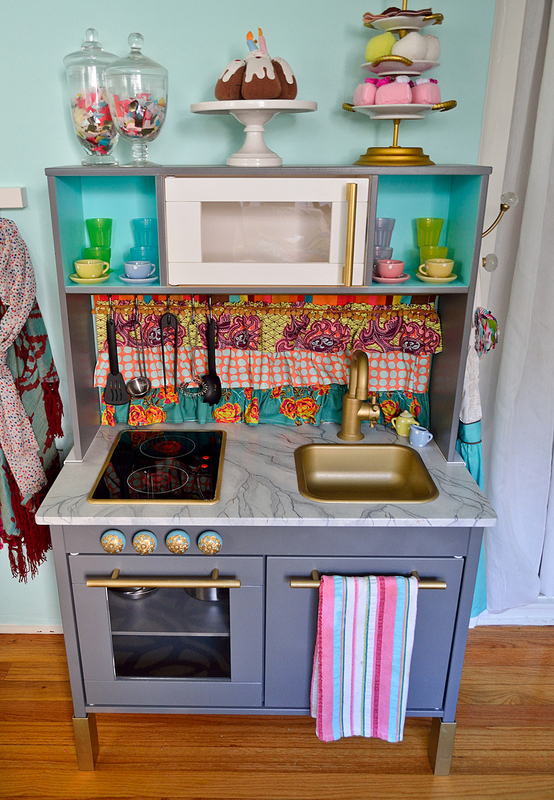 I couldn’t just give her the standard IKEA kitchen… this mommy has to personalize it. So that’s where I turned to my dear friend Pinterest and found some inspiration. 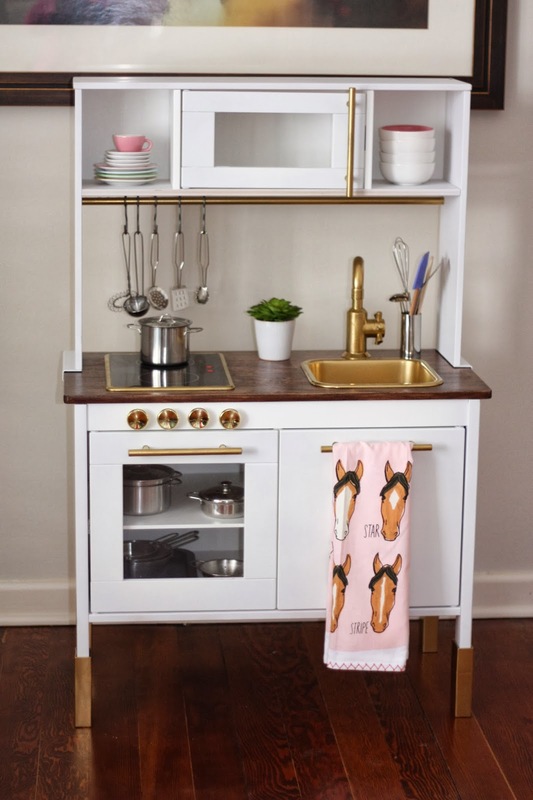 So after seeing these adorable kitchens can you blame me for wanting to spruce up Esther’s a little bit. So far I am really excited about how it is turning out and look forward to seeing the end result and getting to share it with y’all later… after Esther receives it and bakes me a few things of course. 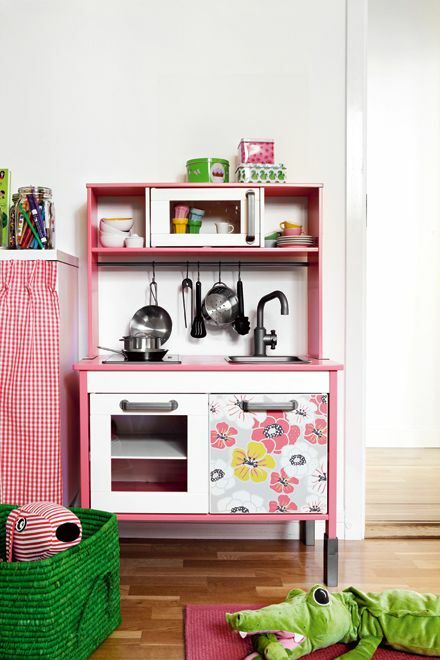 This entry was posted in Color, DIY and tagged IKEA hack, IKEA play kitchen hack on 03/06/2014 by Krystle. What a great idea! I’m so glad you found a way to get the kitchen. I am sure she will love it. Those inspiration pics are adorable! It makes me want to go get one for Kevin and fix it up! I wish we had one of those wishing trucks! & that first inspiration image is to die for! I was so excited when I found out about the Wishing Truck. It was started by two college girls as a class project to start a profitable business… looks like it worked. The little kitchen looks so cute. I know will look even better when you put Esthers personal touches to it. Cant wait to see the finished product. Know your daughter will really enjoy it. Oh that kitchen looks adorable. I know she will love it!! I didn’t know that you lived in Birmingham. We were just there this past week for the Cotton Tails show. Such a great city and the weather was beautiful.